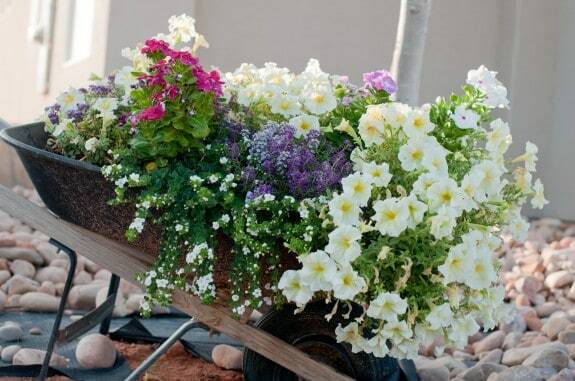 This is my favorite time of year – PLANTING TIME! I love to garden! I love the satisfaction of growing our food, picking it to prepare dinner, and canning it to use during the winter. This is my 5th year planting a vegetable garden, my 3rd in So. 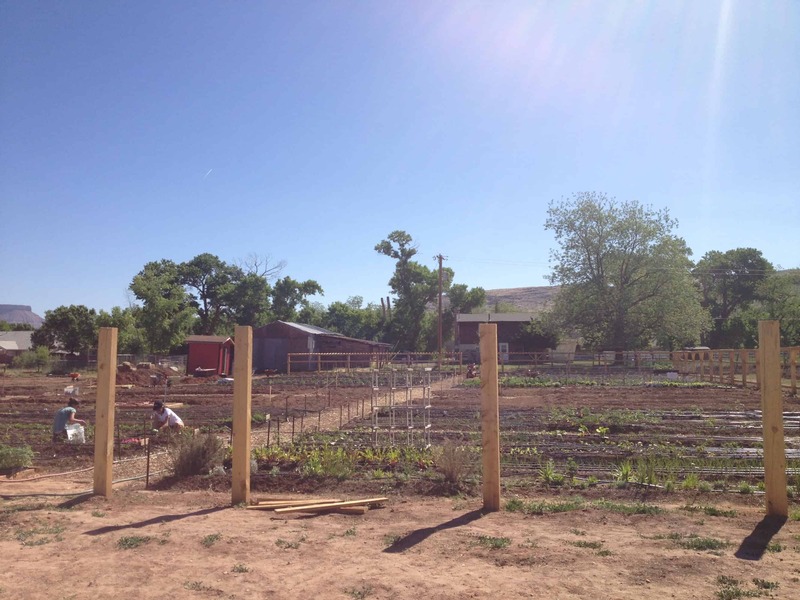 Utah – we live in a really hard place to grow food! But each year I learn more. Gardening is a process. I know so many people who try it once and when they fail they give up. Don’t give up! You learn more each year and so each year it gets better and better! 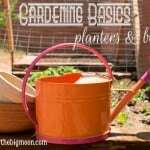 This week Pam and I will be going through the basics of gardening for those of you who are interested in trying out your green thumb. Today we are going to be talking about planters, beds, and trellises. 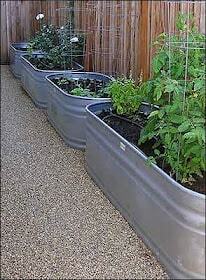 You can plant anywhere – directly into the ground, pots, containers, raised beds, or anything else that will hold dirt! 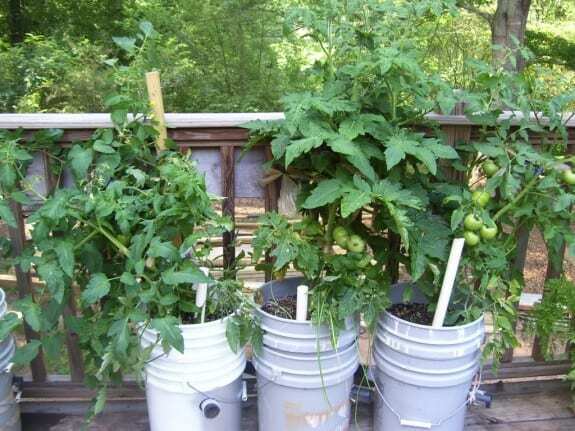 Most of our garden supplies have come from recycled materials. Our beds are made from railroad ties, we were able to get them for free so that’s what we used. 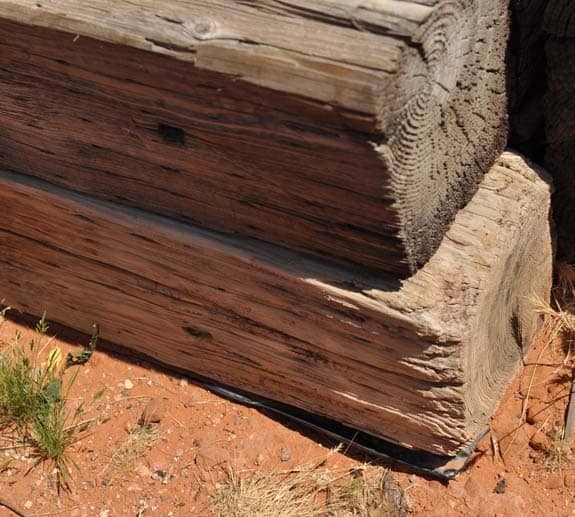 The downside to railroad ties is that they are pretreated for termites which means they have chemicals in them. To keep the chemicals out of our soil we placed plastic between the ties and the soil. 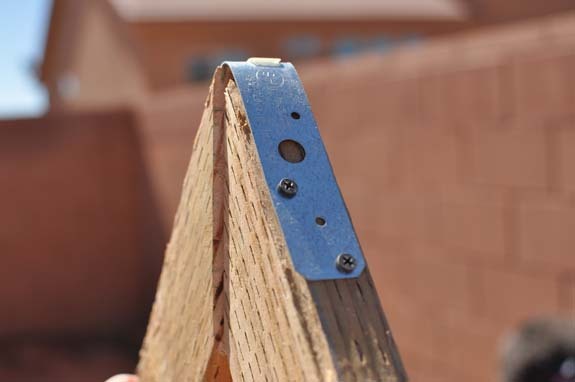 Make sure you use a really heavy duty plastic so it wont crack and erode. 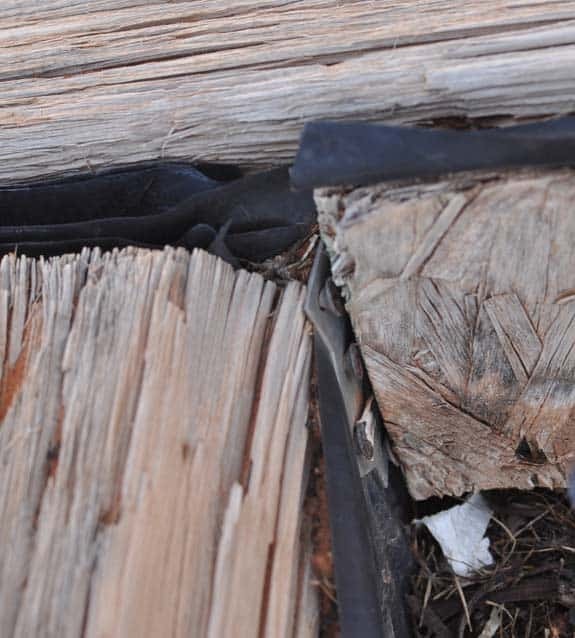 You can not run the plastic under the inside of your bed otherwise you will keep the soil from draining. We ran it down the inside of the tie and then out underneath the tie. Then we cut the excess plastic off. You can see how its peaking out under here. When it came to the plastic on the top John added a thin piece of wood over the top of the plastic and screwed it in. I wish I had better pictures, but back when we made these I wasn’t blogging. 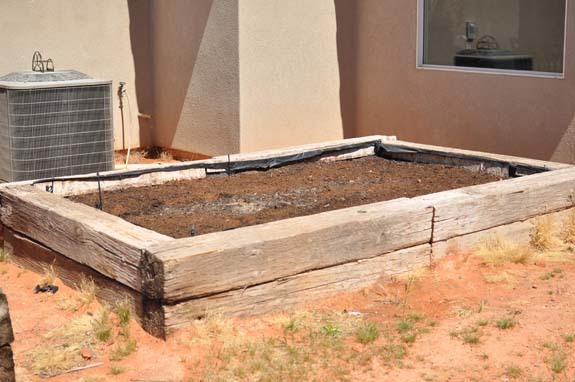 The good news is there are tons of tutorials out there on how to build a garden bed. We used corner braces to screw them together so they wont fall apart. We also built some trellises this year to give us more space. The first was across our big rectangle bed. We have planted pole beans seeds underneath it so they can grow up. We again used recycled materials – 2×4’s and some fencing material. 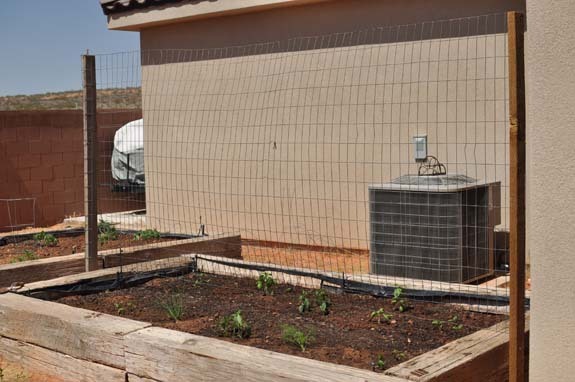 The advantage to a trellis like this is that we are actually creating more space. The space between these two beds would have been wasted but with the trellis we have given ourselves a lot more room! First John cut the 2×4’s to the right angle. Then he hammered them into the railroad ties. In the back of the bed he only buried the 2×4’s about 3 or so inches. He secured the top of the 2×4 with metal bracing. 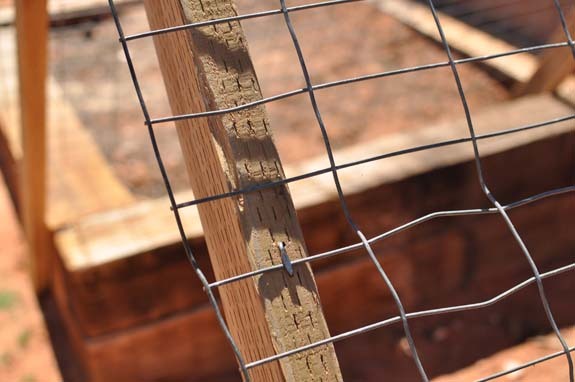 Then he wrapped the fencing over the wood frame and secured it with staples. Here are the starts of our cucumbers (they are the 3 plants closest to the trellis). As they grow we will just make sure they grow up the fencing. 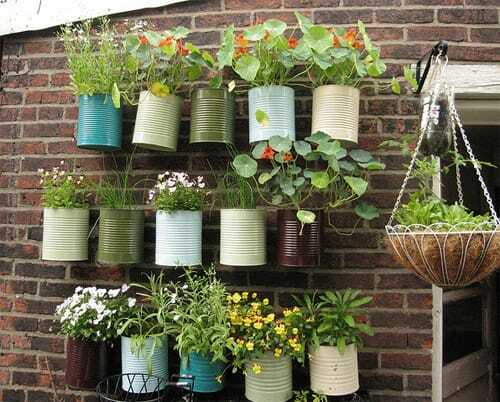 You can use anything (nontoxic) to plant in. 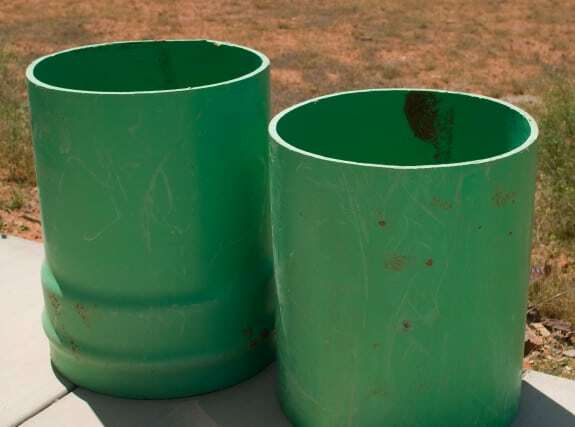 John scored some pipe off of a construction site that was trash. We are going to dig these into the ground and then fill them with good dirt to plant grape vines in. The best part is you wont see the pipe at all. Another fun container I have is the old wheelbarrow from our family’s cabin. I have pictures of me as a little girl being taken on rides by my parents inside of it. Now its a beautiful planter in our yard. I use to grow strawberries in it, but now its flowers. 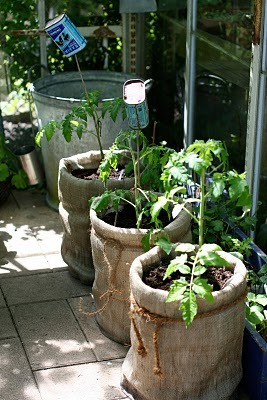 I love how here they took burlap and covered the 5 gallon buckets and tied them with twine. 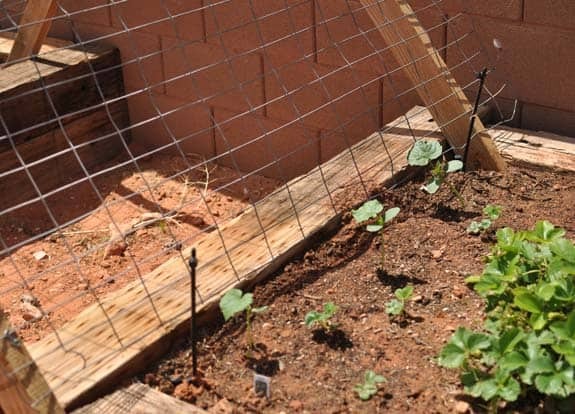 If you really don’t feel you have the room but still want to garden, check if your city has a neighborhood garden. Pam has 3 rows at a local community garden where she will be doing her garden this year. 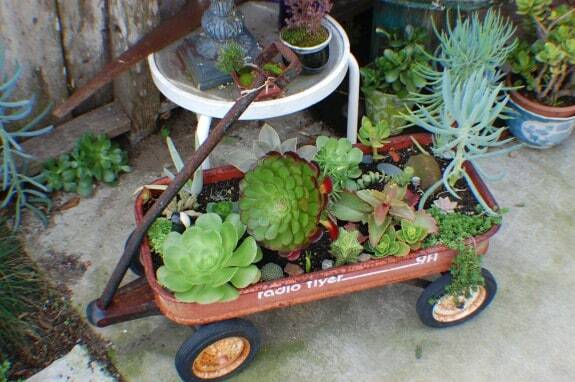 Its a great alternative if you don’t have the space in your yard! 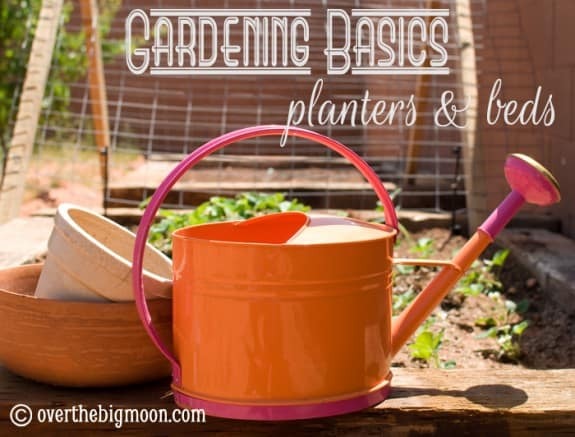 I hope Ive inspired you to go get ready to plant a garden! You wont regret it! 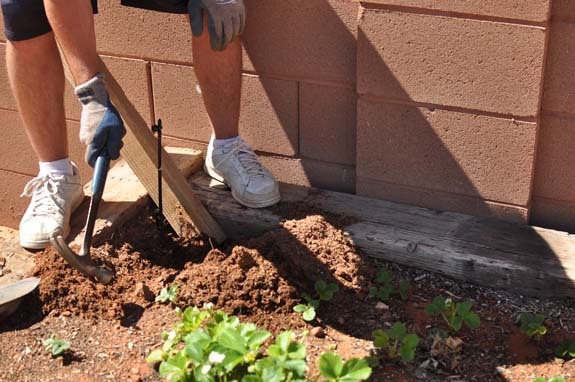 Also, don’t forget to check out our other posts in our Garden Series – Soil Prep and Planting and Pests! Your description of instructions is wonderful. Great close-up pictures. all VERY pretty ideas – thanks for sharing. 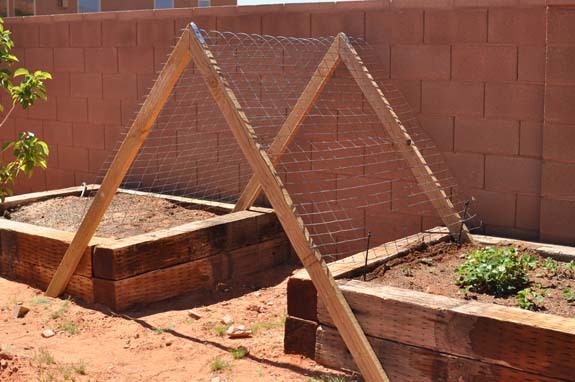 I’m adoring the trellis across the raised beds – what a good idea! Well, I was going to follow, but I don’t see a follower section, so I’ll just bookmark your site for now! Thanks!